The drama that is the rumored release date of the HTC Trophy on Verizon Wireless has thankfully come to an end with an official release date. The HTC Trophy will be available on Verizon Wireless online starting on May 26th, priced at $149.99, with in-store sales starting on June 2nd. For customers who purchase the HTC Trophy prior to July 15th, they can get a free Xbox 360 console game. Choices include Halo: Reach, Kinect Sports and Lode Runner. The price requires a mail-in rebate of $50 and a two-year contract agreement. Full press release after the break. More importantly, who is planning on getting an HTC Trophy on May 26th? Let us know in the comments or in our HTC Trophy forum. 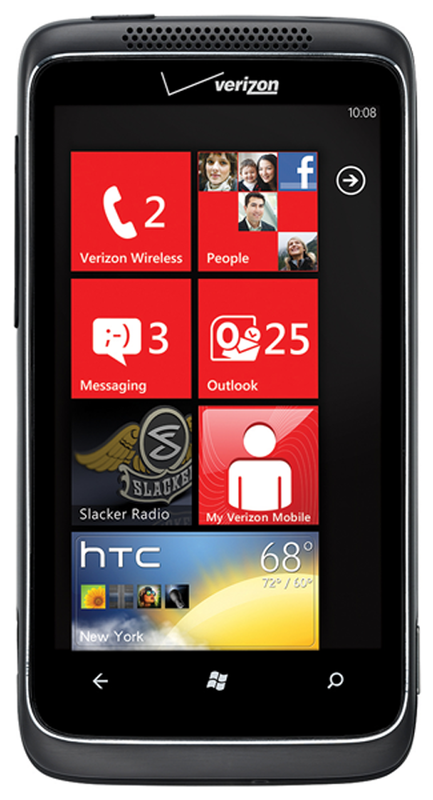 BASKING RIDGE, N.J., May 19, 2011 /PRNewswire/ — HTC Trophy™ is the first Windows Phone 7 device to come to Verizon Wireless, bringing a new dimension of gaming and entertainment to the nation’s most reliable 3G network. Windows Phone is the only phone that lets you play games with Xbox LIVE. Customers can sync directly with Xbox LIVE mobile to access their avatar, profile and gamer score to keep track of their wins. HTC Trophy also allows consumers to play by themselves or challenge friends in turn-based games. In addition to the many mobile gaming features, customers who buy an HTC Trophy before July 15 get a free Xbox 360 console game. Game enthusiasts can choose from Halo: Reach, Kinect Sports and Lode Runner – up to $60 value. HTC Trophy features the Music + Video Hub, giving customers quick access to music and movies on their device. Customers can stream or download millions of songs with a Zune Pass subscription and access over 15,000 quality apps and games in the Windows Phone Marketplace through the Marketplace Hub. HTC Trophy will be available online at www.verizonwireless.com on May 26, and in Verizon Wireless Communication Stores on June 2 for $149.99 after a $50 mail-in rebate with a new two-year customer agreement. Customers will receive the rebate in the form of a debit card; upon receipt, customers may use the card as cash anywhere debit cards are accepted. HTC Trophy customers will need to subscribe to a Verizon Wireless Nationwide Talk plan and a smartphone data package. Nationwide Talk plans begin at $39.99 for monthly access and an unlimited smartphone data package is $29.99for monthly access. Verizon Wireless customers traveling outside of the United States should contact Verizon Wireless’ global customer support team at 1-800-922-0204 before embarking on their trip to ensure their phones have the right features for global usage.